Hi friends, little attention has been given to purposefully investigating the roles and responsibilities of local government in addressing sustainable development within tourism destination contexts. Governments have a critical role in creating the context and stimulating actions to ensure that tourism is more sustainable in the future. Local government has become an important arena for discussions about the interpretation and implementation of sustainable development. Discussions at international and national levels reinforce the importance of local government because it is at this local level that local policy debates unfold and decisions about resource use are made. Governments should provide an environment that enables and encourages the private sector, local community, tourists and other stakeholders to respond to sustainability issues. This can best be achieved by establishing and implementing a set of policies for tourism development and management, drawn up in concert with others. The principles of sustainable development put emphasis on local determination and implementation of policies and actions. This should be placed within a supportive national policy framework. Indeed, it is often local governments which assume much of this responsibility as they are closest to many of the problems associated with tourism development and they control most of the development planning aspects associated with tourism. 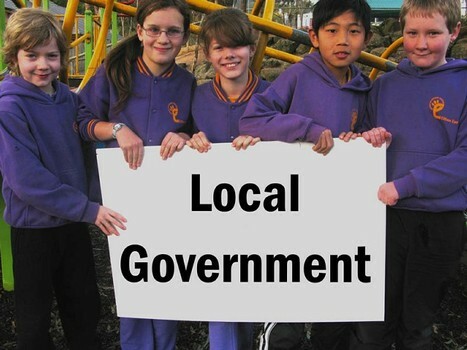 Local governance get fast information’s about the problems that have the community. Also local governance know with details natural resources and human capital so through the careful assessment it can plan the future to help the community in employments, local business, infrastructures etc. Local governments are faced with a range of challenges to the effective planning and management of tourism at their destination level. The most important challenge is that of integrating the management of tourism with other functions and activities of local government. Table indicates some areas of local government responsibilities as they relate to tourism. Influences quality in the delivery of tourism services and facilities. Fosters branding and destination image development. READ ALSO: What are the importance of tourism? Every part of the government is definitely responsible for promoting tourism in Nigeria.. Thanks for bringing this out dear.. Wouldn't it be a blissful output wen all arms of government r working together to help grow tourism? Thank you for the comment. I quite agree with you, our government is yet to fully understand the great potentials of tourism to any economy. if they could only understand what tourism provides for countries like United States, Kenya, Netherlands, India, Singapore, Colombia, France, United Kingdom, and Ireland.